The first colorways of the Nike LeBron X NSW Lifestyle kick finally hit the market two weeks ago and it will also be released in several new colorways in the next few weeks. One edition that is currently getting a lot of attention is the “Dark Olive” edition that is now available in selected retailers. 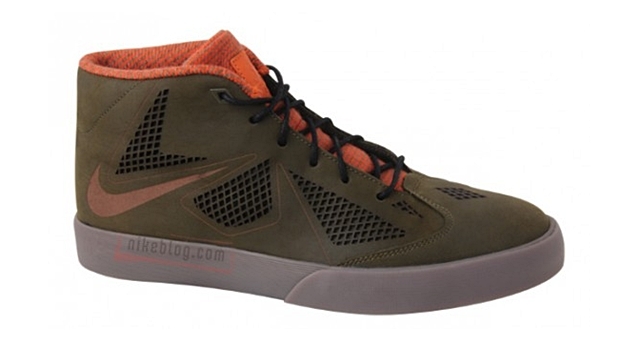 This edition features an olive green upper part enhanced with orange tongue and liner. Nike has yet to announce the US release date of this edition of the Nike LeBron X lifestyle model, but we will keep you updated. Make sure to watch out for this kick!